The Shine Mate EP801 G2 Rotary Polisher is an innovative leap forward in design, specification, ergonomics and versatility. 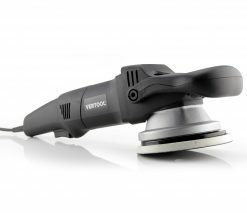 The polisher is lightweight, and feature rich – built with the enthusiast and professional detailer in mind. The Shine Mate series of polishers will give years of safe reliable performance on demand with a high degree of work efficiency and usability aimed at consistent and repeatable results on all paint types. 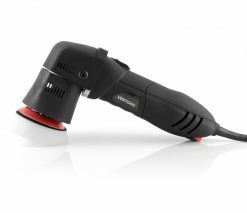 A lightweight 2kg body, 800w, and a new 5m long cord, the EP801 G2 Rotary Polisher is a pleasure to work with. The machine features a variable speed between 700-2500rpm. The machine also offers an built in load sensing module which allows for constant speed output to be achieved. This load sensing technology, combined with the EP801 G2 new optimal gearing system allows for higher torque outputs. This intern increases performance and resilience for longer periods of use. With class leading smoothness and a unique speed stabilising system that intuitively anticipates a slowdown of rotation speed, the shine mate polishers will help you adapt to your situation and safely remove defects from the vehicle’s painted surface without a requisite adjustment of technique in order to deliver a professional final finish whether you’re an enthusiast or detailer.